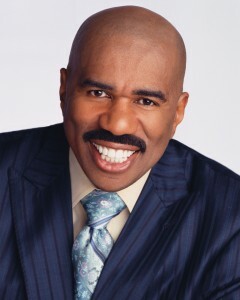 Steve Harvey Launches “Act Like a Success Conference” in Virginia! Steve Harvey, #1 NY Times best-selling author, Emmy Award winning television host and renowned radio personality, will launch his first-ever “Act Like a Success Conference” on March 6-8 at the Hyatt Regency in Reston, VA. The three-day event based on Harvey’s latest book “Act Like a Success, Think Like a Success,” will offer attendees the opportunity to obtain the tools, strategies, motivation and insights to accelerate success and make big dreams a reality. In addition to featuring Harvey, additional keynote sessions will include such noted speakers as Lisa Nichols, Dr. Laura Berman, Doreen Rainey, Patrice Washington, Heather Thomson and Paul C. Brunson. They will share their experiences, successes, failures, and life lessons to give practical information to leave participants with ideas and tools to put into action immediately. The breakout sessions provide the opportunity to choose the topics most relevant to one’s own life. Led by experts in their field, each session will be packed with techniques and “how-to’s” that one can implement into their lives, businesses, careers or finances – now. The “Act Like a Success Conference” will take place at the Hyatt Regency Reston, 1800 Presidents Street, Reston, VA 20190. For more information visit: www.ActLikeASuccessConference.com.